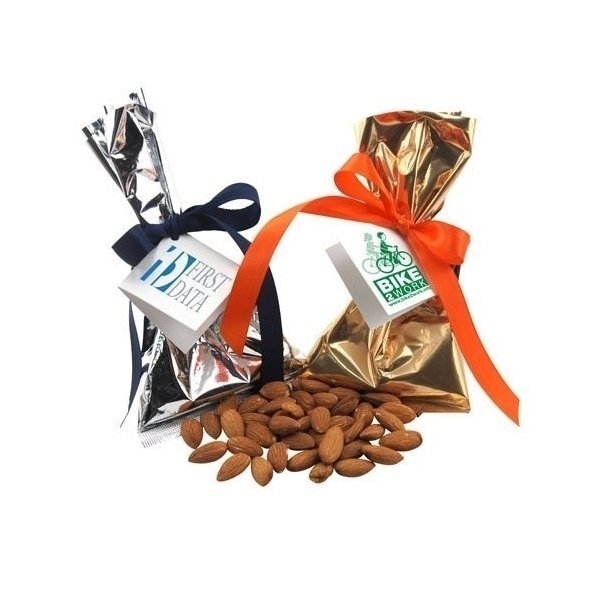 Almonds in a favor/mug stuffer bags with ribbon. Our product looks awesome! the color selection is what drew us to the order and it looks fantastic! Packaging was a bonus. Imprint on it was much better than I'd imagined! thanks for your help with shipping and having incredible service for the product.